Movie night just got a whole lot better. My husband and I love watching movies together but always hated going to crowded, overpriced theaters with their ridiculously expensive concession stand prices. Now we’re enjoying a theater-like experience at home with the 77’’ class LG OLED C8 Television. 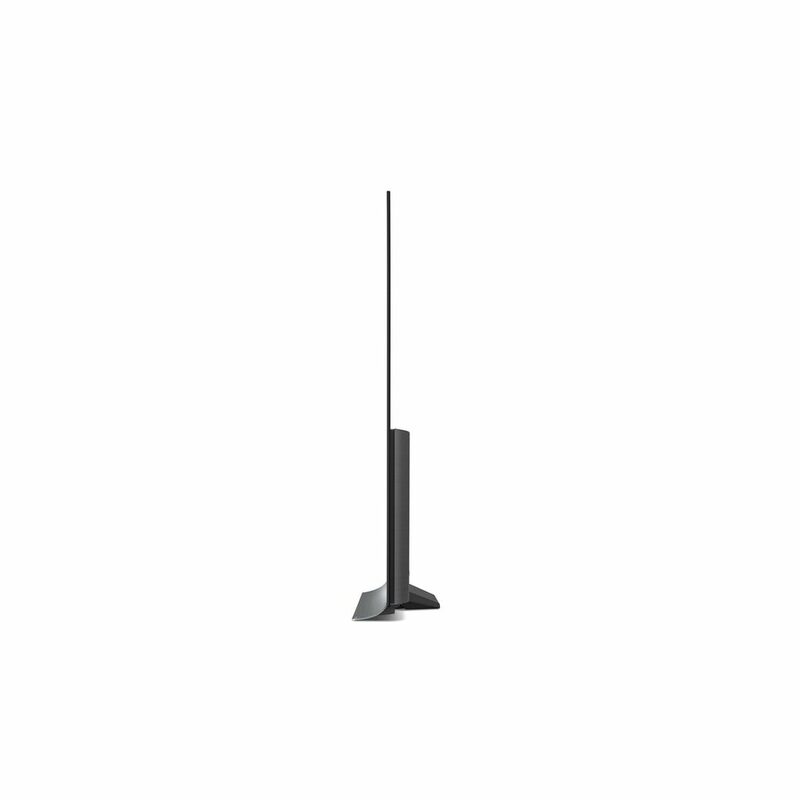 The 77” class LG OLED C8 TV is more than just a big screen TV. 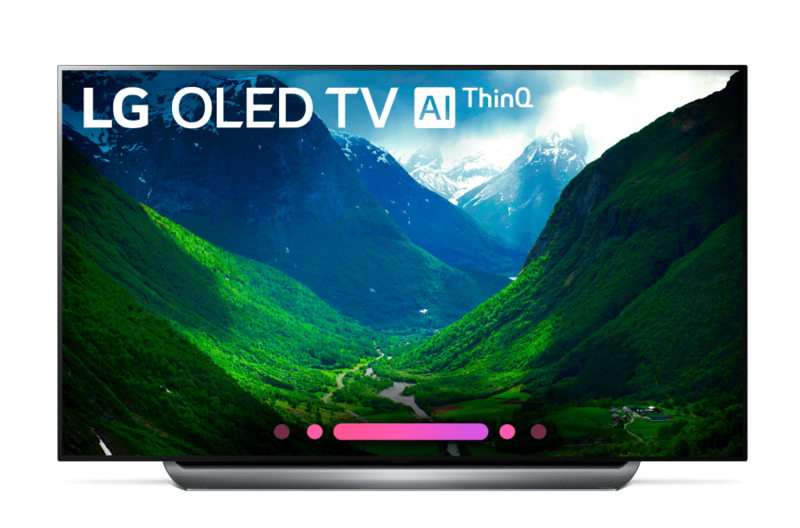 Its TV meets Artificial Intelligence with LG’s AI ThinQ® that has built-in Google Assistant allowing you to use your voice to control this TV and smart home devices that are compatible making it a center for your smart home. With simple voice commands, you can change picture modes, adjust the volume and search for your movies and shows. Since it’s a Smart TV you can also launch apps like Netflix, Hulu and more. It also works with Amazon Alexa devices. Google Home and Amazon Alexa devices are sold separately and some features may require a subscription. This 77-inch LG OLED television’s gorgeous Ultra HD level picture quality will have you feeling like you’re in the scene when watching your favorite 4k movies and TV shows. You’ll enjoy 77 inches of ultimate picture quality with incredibly rich colors, sharpness and depth thanks to LG’s most powerful processor ever, α9 (Alpha9). This processor provides true-to-life images to immerse you in whatever you’re watching. Meanwhile, perfect black and intense colors are created by the 8.3 million individually lit pixels that can each brighten, dim or completely power off. No other television technology can reach this level of picture detail. Did you know that all existing OLED TVs come from LG? With the 77-inch LG OLED TV your home also gets cinematic sound with Dolby Atmos®. The moving audio will make it seem like there are crickets chirping all around you or a monster roaring from behind. The sound will seem like it’s coming from everywhere creating a realistic, immersive experience that’s perfect for watching movies. It’s hard to believe that great picture quality and sound can be packed into such a slim design but it is. 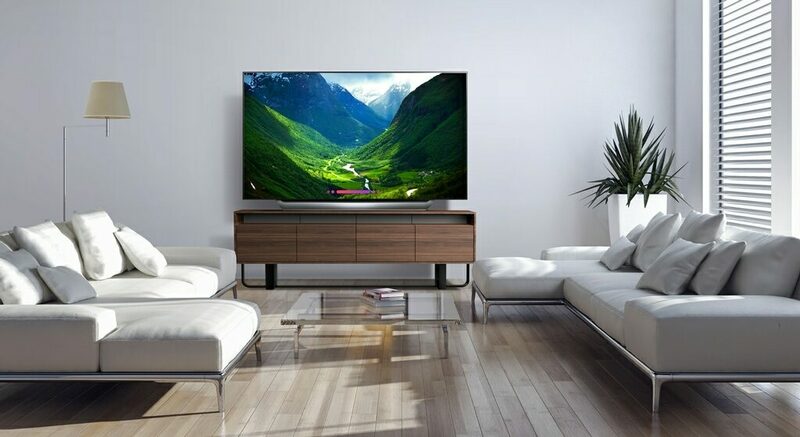 The LG OLED TV has an unobtrusive Ultra slim design so it can be mounted on the wall or placed on a table and will still complement your room decor. If the 77-inch LG OLED TV is a little too big for your space, this TV is also available in the 55 inch and 65 inch screen class sizes. Check out all the LG OLED TVs and see how you can save up to $500 on select LG OLED 4K TVs. Learn more about LG OLEDs here.